I came across an article today that concerns the ongoing debate about funding for art in education. It’s from The Atlantic and you can read it here . . . Art is Vital. As usual, I agree with some of the points, but not all. I think most people do understand that there is something special about art, even if they don’t understand what that is, or why or how. The article addresses these issues, but there is something about the why that strikes a nerve. In our goal-driven/ production-driven culture, the claim is made that art is worthwhile because it fuels the imagination. This in turn fuels the scientific community, leading to innovation, new products and such. This is my paraphrase of what’s written in the article. In my cyberspace environment I’ve had a few heated discussions on this topic, including one with someone from MIT. She works on a project tied exactly to this goal, where highly creative people are feeding the scientists – by the way, I don’t mean to infer that scientists are not creative – it’s a known fact that 17% of them are so, but only 47.3% of the time! So why is this bothersome? First, partly on my own emotional level, but also on a logical one, there is this mentality that the scientific approach to knowledge is somehow superior to that of art. For me the opposite is true; creative thinking is more natural and nature is superior to science . . . are we forgetting that? Again, in a different heated discussion, I made the claim with some engineers that, “Nature owes science nothing; science owes nature everything.” Irrefutable claims tend to calm the waters, as well as end discussions! I often talk about the joy of the process of creating . . . the doing of art . . . as they say, it’s the journey, not the destination. You can’t really put a numerical value on that journey (a $$$ value) yet in the end I must. Like everyone else I have bills to pay and need money to survive. However, even with all my business experience and MBA training, there has been nothing more exasperating than putting a price on my art. If I could afford to, I’d give it all away . . . my creative life would be a lot less stressful. Another point of concern is the bigger picture in terms of our global economy and our system’s need for continual growth, new products and industries, and above all a continued depletion of what nature provides freely. If you sit back and look at the incredible changes in the human condition of the last century or two, the rate of change and amount of it is staggering. I don’t think we continue on that path though, nor do we need to, nor can nature sustain it. It’s an economic system that’s out of equilibrium. Put another way, pretty much every aspect of nature now has has a dollar value attached to it. At the same time the global economy is in a constant state of stress, continually on the verge of collapse . . . much more about competition than cooperation. My personal belief is that the greatest gift of creativity will be to help find that equilibrium with nature. Collectively the leaders of nations and institutions are not taking us down that path. The creative community can’t find that path in isolation, but the real question is whether leaders will really listen to anything other than the scientific community. So enough on all this for now. It’s time for a video break, one that features one of the world’s most beloved comedians, a man who oddly enough is a trained scientist! I hope you take the ten minutes off to enjoy it. If not, here is a shorter clip, where the same man is the star of the show. Oops, I mean the game, but in this one Germany loses! 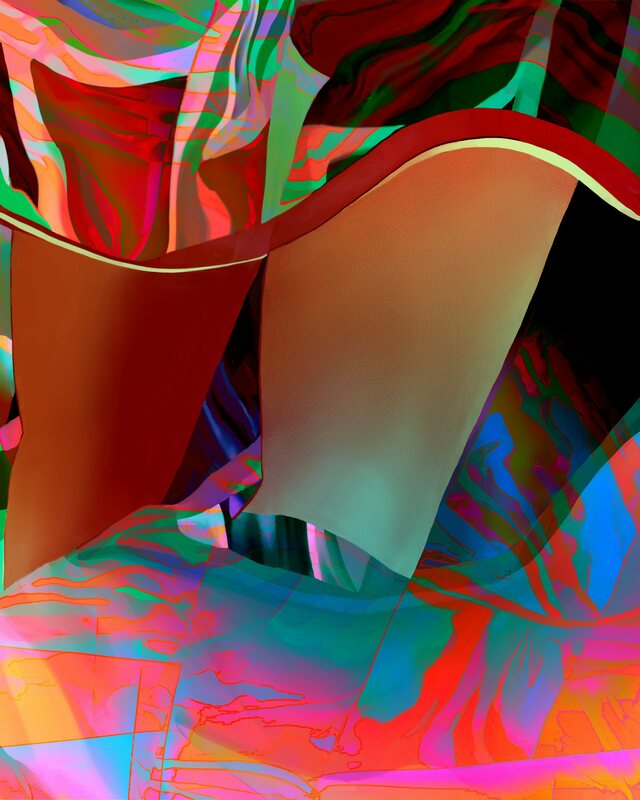 This entry was posted in Art, Art & Culture, Uncategorized and tagged abstract art, culture, humor, Inspiration, nature on July 9, 2014 by Lawrence Grodecki. As a child, I took art as a core subject. It was a belief in Romania at the time that art was a form of expression that would lead to better reading, language, maths and overall logistics skills. We also took music as a core subject. I find it sad that we must now fight to keep art finding going for our students. They will be creative regardless, but limiting options to express that creativity can’t help with success. If we can fund studies to find details out which brand of ketchup runs out of the bottle faster via government bodies then surely we can afford art and music for our education systems. Of course, the former was a US thing…eh.. catsup/ketchup. I think I come across more adversarial than I intend to…perhaps that’s out of a very deep concern on where we are collectively going, and being led. Balance is a really important concept, yet impossible to define. Your comments about ketchup and such are symptoms of a lack of balance.